Could independent inventories save tenants money? "The additional money saved by holding on to a full damage deposit could put renters in an extremely favourable position when it comes to taking their first steps on the property ladder"
New data and analysis from the Association of Independent Inventory Clerks has shown that the presence of an independently compiled inventory could save tenants a significant sum of money over the course of their tenancy. The AIIC's awareness campaign is gaining momentum with an online petition. The Association is urging the government to introduce mandatory independent inventory reporting of privately rented properties, with the aim of making the letting process more transparent for all involved. The petition now has over 1000 signatures, and has received strong cross-property industry support as well as backing from tenants. Not currently a compulsory requirement for rentals, but widely used by landlords and letting agents, independent inventory reports detail a property’s condition at the start and end of a rental contract. They can help tenants to save money by ensuring that all deposit deductions made by landlords are fair and can be proven. Danny Zane, Joint Chair of the AIIC, said: "Independent inventories are vitally important for tenants as they contribute towards making sure that any deposit deductions made by the landlord at the end of a tenancy are fair and necessary. Combined with the Chancellor's recent decision to cut stamp duty for first-time buyers, the additional money saved by holding on to a full damage deposit could put renters in an extremely favourable position when it comes to taking their first steps on the property ladder." 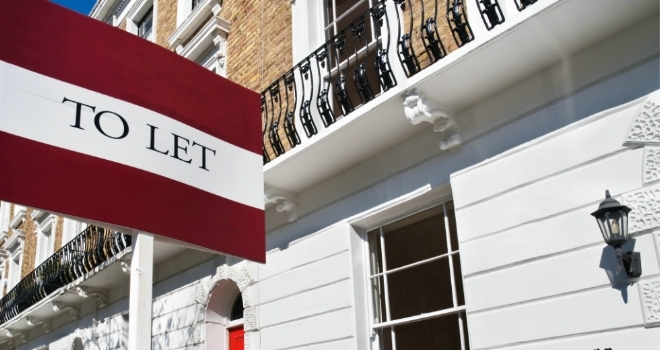 The AIIC says that tenants saving for a deposit may also benefit from no longer having to pay up-front fees to letting agents. However, the ban on letting agent fees will be introduced no earlier than spring 2019. Therefore, tenants moving between properties before then need to do all they can to save precious funds and keeping hold of as much of their deposit as is fair and reasonable could be crucial. Danny explains: "Average damage deposits paid by renters continue to rise. Particularly in London where the average deposit in the capital is around £1,750. The more that tenants can keep of these large sums, the better, and having an independently compiled inventory can significantly increase their chances of doing so." Independent inventory clerk, Simon Burgess, explains a scenario in which a tenant potentially saved money thanks to the presence of an impartial inventory report. He says: “I was preparing an inventory when the new tenant and the landlord were both present. The landlord overheard my dictations and kept insisting I was wrong. The AIIC says that cases like this occur all the time and that tenants – or in some cases landlords – could be left out of pocket if an independent inventory report has not been commissioned. Danny concludes: "The rental process should be fair for all parties and as higher sums of money are becoming increasingly involved, we're reminding all tenants that an independent inventory will offer them protection and make sure that any deductions are reasonable and can be proved."